After fending off privacy concerns around voice recognition in its Smart TVs, Samsung is facing new complaints about interrupting advertisements. Multiple users on Reddit say they've seen ads for Pepsi appear in their video streams while using Plex media server. The ads show up about 20 minutes to 30 minutes into each video, at which point the video stops playing and a silent Pepsi ad appears. Plex, whose media server software lets users stream their own videos between networked devices, told GigaOm that it had nothing to do with the ad. Meanwhile, Foxtel subscribers in Australia have also been seeing the Pepsi ad. As CNET notes, Foxtel is Australia's largest pay TV provider, and has a streaming video app built into Samsung Smart TVs. “This absolutely should not be happening and is being escalated immediately,” a Foxtel employee wrote on the company's forums. Samsung Electronics Australia told CNET that it has already resolved the issue with Foxtel subscribers, but there's no word on what's causing the problem for Plex users.. 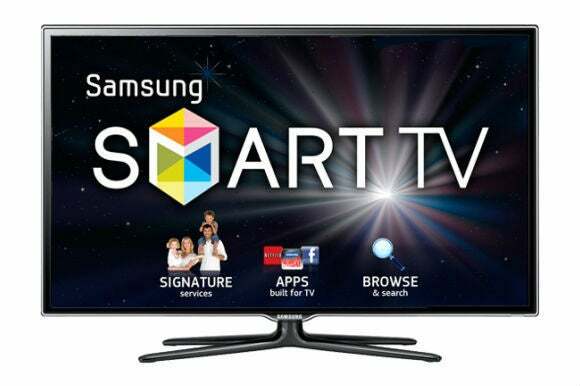 This isn't the first case of Samsung getting overly aggressive with Smart TV advertising. Last year, tech blogger David Chartier wrote about how Samsung slapped an ad for Yahoo Broadcast Interactivity over his video stream. Samsung later told Business Insider that the ads would only appear on an opt-in basis. Other Redditors report hit-or-miss results with the method, however. These are blunders rather than major offenses, but they contribute to the idea that smart TVs can't be trusted. The case for having a dumb TV with a smart set-top box you can control yourself looks better every day.